I am the last person who, realistically, should be talking about fashion, or style, or clothing. But on this occasion I shall make an exception. I have been picking up the odd t-shirt from Last Exit for years now, and they have never failed to dissapoint. I am going to highlight three of my favourites, as examples of their brilliance. 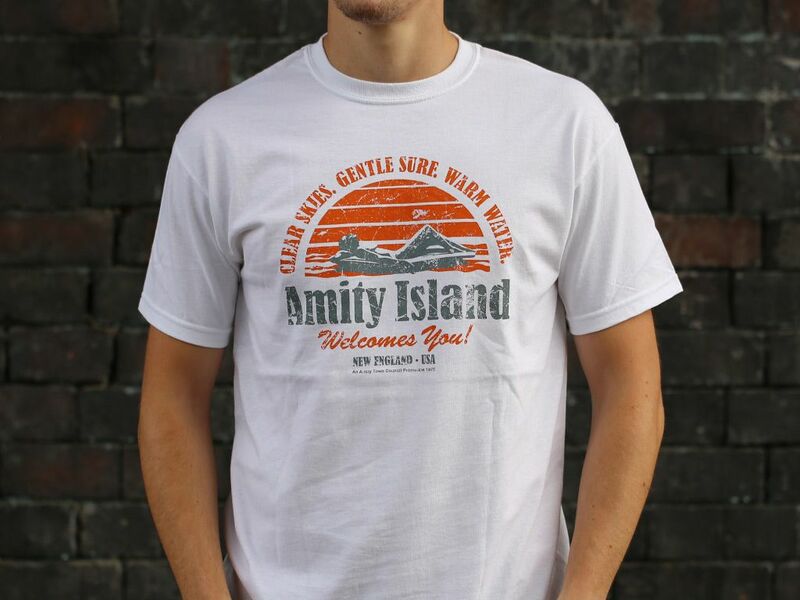 First up, is their Jaws, Amity Island t-shirt. This is a t-shirt that could so easily be disregarded as any old generic, ‘fake holiday destination’ t-shirt. But it is so much more. I have had the most unexpected people come up to me to ask, ”is that from Jaws”, and upon my affirmative answer have broken into a huge grin as it brings back memories of the movie. Next up, is a personal favourite simply because I watched the movie over, and over again as a wee nipper. 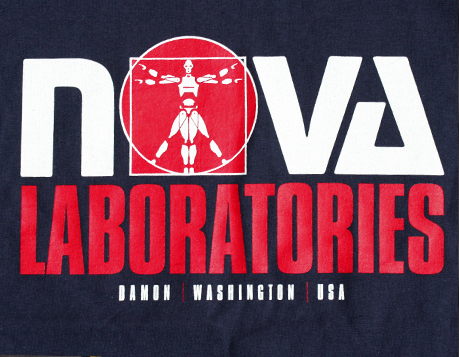 It is their Short Circuit, Nova Laboratories t-shirt. I would add a link but they do not seem to sell this anymore which is a shame. Whenever anyone asks about this one and I mention the movie, and its lead character, Number 5 (he only becomes Johnny in the sequel remember), they can’t help but quote, ”is alive”. It may not be the most famous of movies, but there is a lot of love for it. Also, Steve Guttenberg. Who does not like Steve Guttenberg? 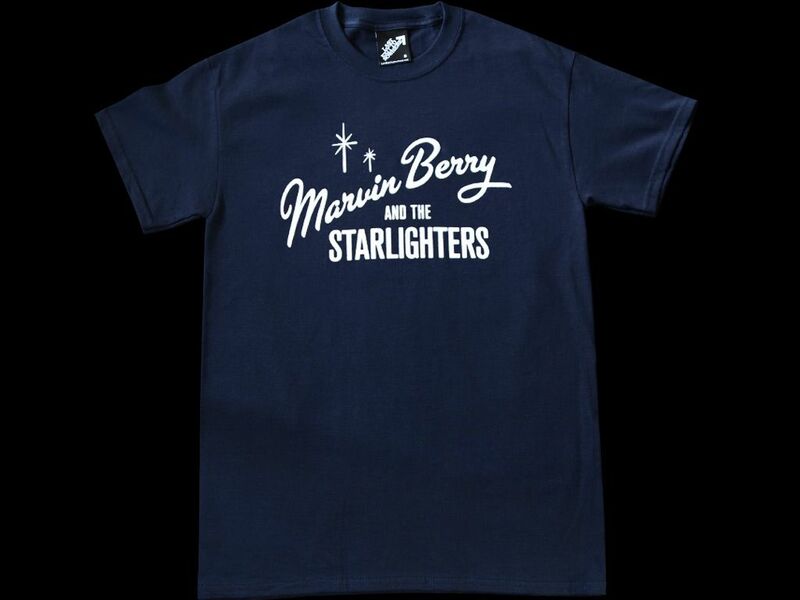 My last choice (and it is difficult to reign myself in and stick to three) is their Back to the Future, Marvin Berry design. Shockingly, I have yet to pick this one up. It is something I shall surely be rectifying soon enough. Band t-shirts are popular, but this takes it to another level. It would make a good companion for another t-shirt they offer based on Spinal Tap’s record label. Another shocking omission from my wardrobe. But don’t take my word for it. Numerous famous people have come out as huge fans of the guys at Last Exit. Sam Witwer (Smallville, Battlestar Gallactica and many other geek friendly franchises) seems to be photographed in one of their designs on a monthly basis, Nick Frost (Shaun of the Dead, Paul and Simon Pegg’s – who is also a fan – BFF) also seems to have had his fair share of pictures taken in their designs. Scroll down on the link below to find even more glowing tributes from those in the film industry. Anyway, that is enough of that. Do you know of anywhere that sells fantastic film clothing like this? What designs do you think would work particularly well? Sound off below. This entry was posted in General Movie 'Stuff' and tagged Amity Island, Back to the Future, Clothing, Fashion, Geek, Geekery, General Movie 'Stuff', Jaws, Johnny 5, Last Exit to Nowhere, Marvin Berry, Nerd, Nick Frost, Number 5, Sam Witwer, Short Circuit, T-Shirt. Bookmark the permalink.